Hey everyone, today I’m over on the Crafting Desert Diva’s blog showing some of Tara’s latest released stamps. I love these stamps, because you get a mix of all kind of fonts and sizes with the sentiments. 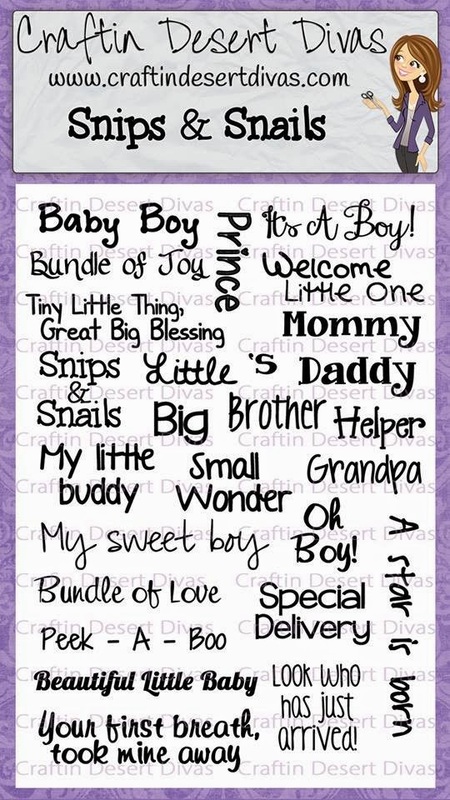 Now personally I don't have kids and wanted to show how you can use stamps geared more towards babies and in this case little boys, how you can use them for other types of cards and projects. For this card I used the new Snips and Snails stamp set. I used the "peek-a-boo" sentiment for my card. Now you might already or maybe you don't I'm kind of crazy about my pets, especially my two kitties Oliver Twist and Kelala Lynn. So I'm a crazy cat lady.. lol specifically grey kitties. If you follow me on Instagram, the link is in the header, you will see lot of pictures of my kitties and a few art projects . And if sized while grouped would be about 10.29 inches wide. 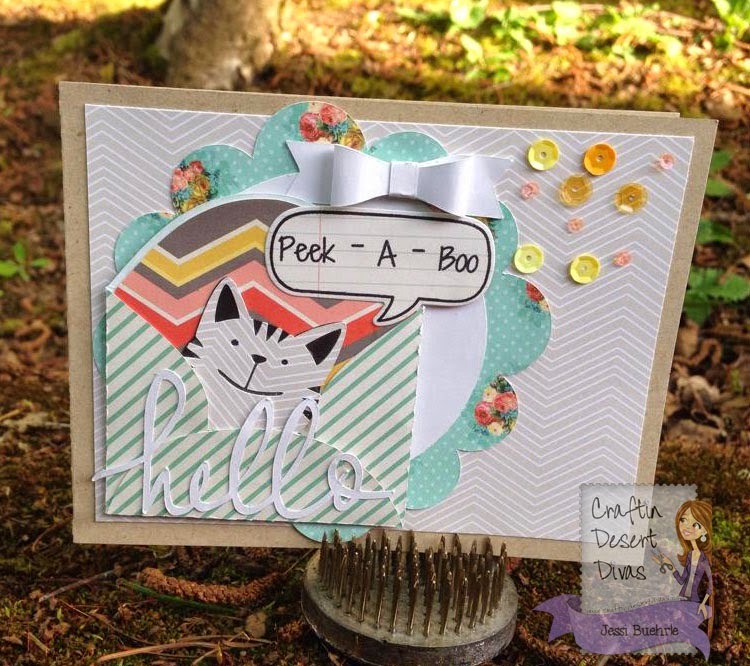 These word bubbles are PERFECT for Tara’s stamps. And the corresponding dies make it so much easier to apply to your card. I also used a 3d bow from the online store as well and it has since been deleted out of the store, but any 3d bow will work. Just make it itty-bitty. All of the pattern paper, which is most of the card, is from the MME 6 by 6 designer paper pad “find your wings and fly” Other than that I used a piece of white cardstock and black cardstock. As well as Paper Trey Ink Kraft Cardstock for the base of my card. Very sweet card, the little kitty is too cute and the sentiment you used is just perfect!